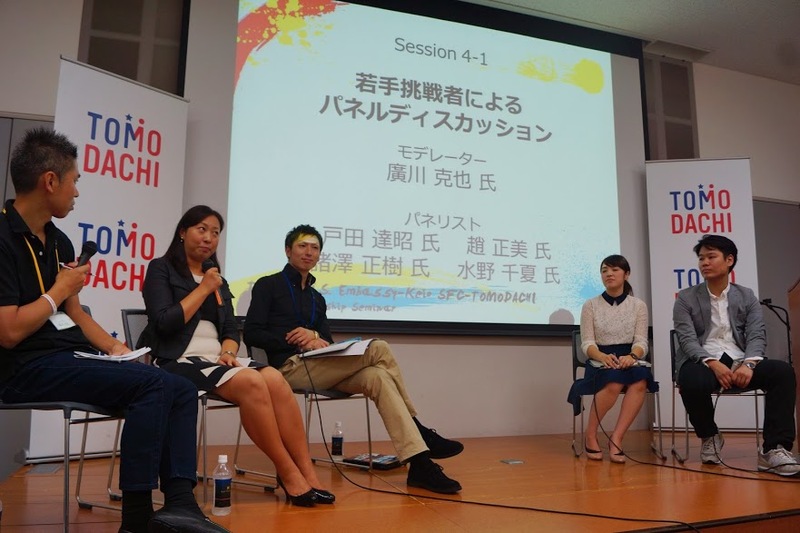 From September 4-8, 2014, the 4th U.S. Embassy-Keio SFC-TOMODACHI Entrepreneurship Seminar was held at Keio University’s Hiyoshi campus. This program was funded by The Boeing Company and was designed to help develop a new generation of entrepreneurs in Japan in the aftermath of the Great East Japan Earthquake in 2011. During the course of 5 days of the program, the participants had the opportunity to hear from many entrepreneurs, financiers, and business leaders to learn about the basics of entrepreneurship. For the second part of the program, participants worked in groups to come up with their own business ideas to approach problems in their society and later presented their ideas. 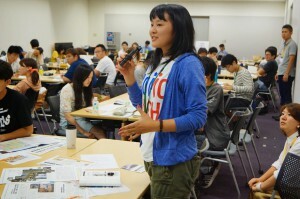 There were in total 13 teams, six from the Tohoku region, four from Tokyo, and three from the Kansai region, and also 42 American student participants who are currently studying in Japan. Program instructors included, Yusuke Matsuda, who has studied in the U.S. and is the representative of the Teach for Japan, and Jessica Kizorek, founder of the Two Parrot Productions. After the program, a participant reflected that, “because we have not had a chance to talk in depth about why we have to turn our attention to our society and act upon it, the past 4 nights and 5 days have been a very valuable time in which we were able to face ourselves, and hereafter, we want to make our thoughts into action”. In the final presentation that was made on the last day of the program at the Fujiwara Memorial Hall at Hiyoshi Campus, three teams won the highest award: Iwaki University that came up with the idea of making forestry, from tree trimming to the delivery process, an automatic system for safety reasons, group of Sophia University and American students that came up with the idea of having single mothers make beach sandals using materials from disaster affected regions, and Showa Women’s University that came up with the idea to resolve every mothers’ distress of making lunch by establishing an order made and handmade obento (boxed lunch) service for children.